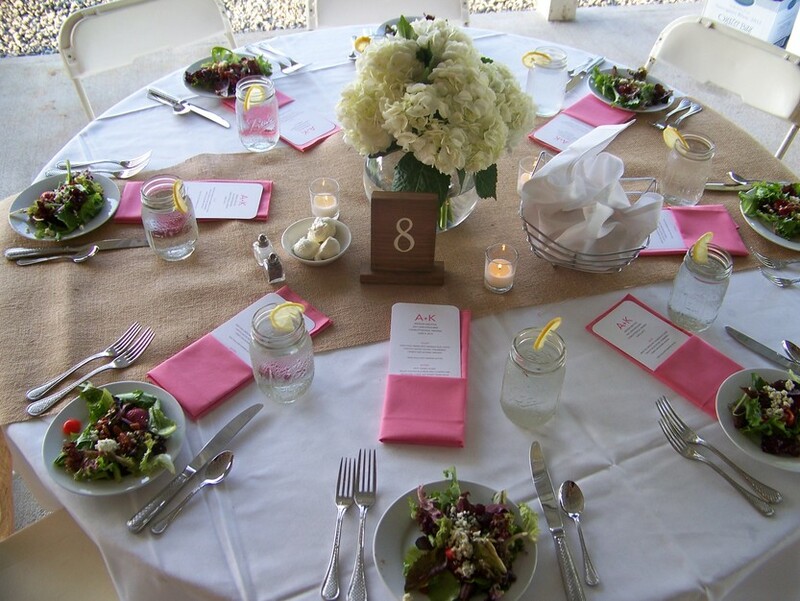 Wedding Themes & Styles - Blue Ridge Cafe & Catering Co.
Blue Ridge Cafe & Catering Co. is one of Virginia's premier Wedding and event caterers, located in Ruckersville, VA just north of Charlottesville. Shawn Hayes, Chef and Owner, is know throughout central Virginia for his delicious culinary creations and is beginning his 21st year of service. In addition to his fabulous food offerings, he and his staff are known for festive displays and excellent service. Pricing depends on menu selections and services needed that range from sensible to splurge. The offerings provided include simplistic to elegant and everything in between. Whether you're looking for a laid back approach with BBQ or buffet to a sit down dinner, the Blue Ridge Cafe & Catering Co. should be on your short list of caterers. For additional information, please visit our website at www.Blueridgecafe.com, call Sue Dickau, Catering Sales Director, at 434-985-3633 Ext. 302 or email her at blueridgesales@comcast.net. You'll be glad you did! Packages - Blue Ridge Cafe & Catering Co.
Guilford Farm Wedding from S.N. Dickau on Vimeo. Blue Ridge Cafe is so delicious and all of our guests were thrilled about the food. 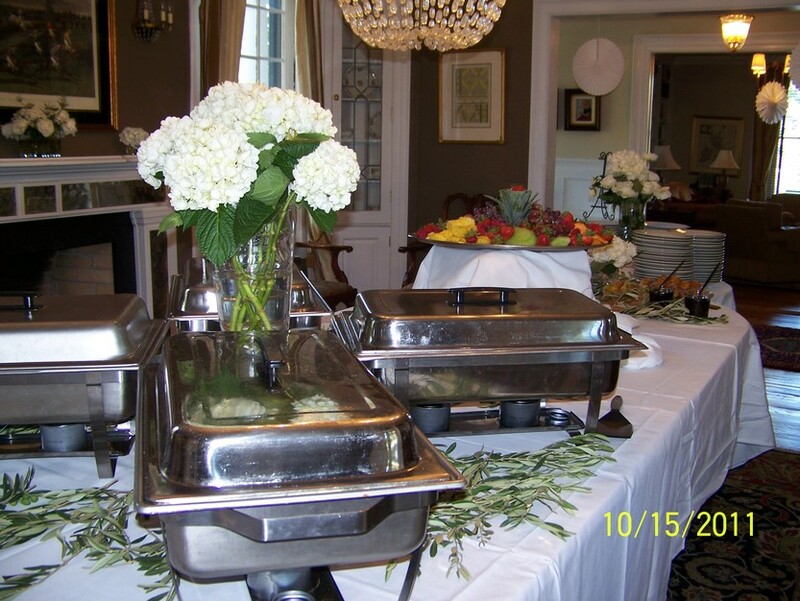 We heard such great things about the reception food and we could not have asked for a better caterer. They are wonderful to work with and they are so professional and perfect at what they do. Wonderful!!! Absolutely phenomenal experience. Sue was fantastic to correspond with and made sure we got exactly what we wanted! The food was excellent, we ordered breakfast for dinner and they provided the chaffing dishes and set up for us so that we didn't have anything to worry about and allowed us to return the dishes the next day! 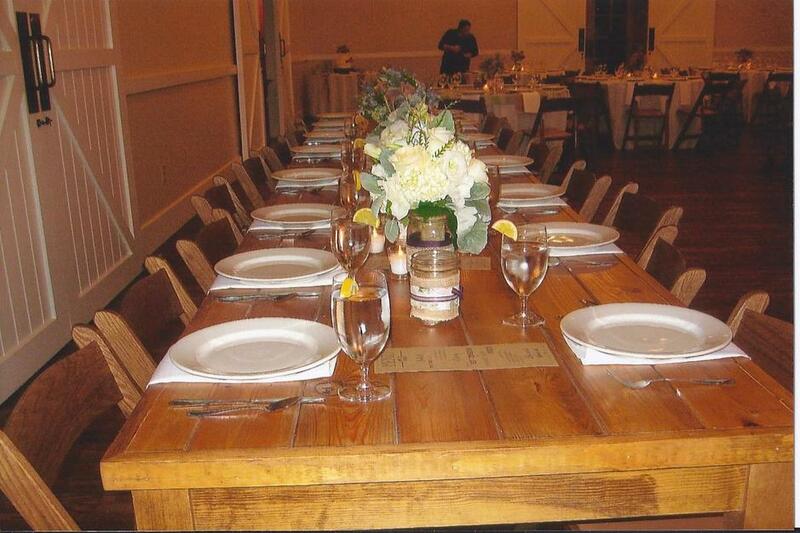 Our parents also utilized their services for the rehearsal dinner and had a wonderful experience as well. They were in our budget and provided an unforgettable contribution to our perfect weekend! Sue and Shawn were great through out the entire wedding process. They were very receptive to our (many) emails about clarification, numbers, choices or changes. The food was good and there was a good amount of it for each person. The wait staff they hired were very polite and attentive. They are very reasonably priced! I was so happy with Blue Ridge Cafe and Catering!! I live in DC and was getting married near Staunton, VA and Sue worked with me even though I was remote and the wedding location was over an hour from their home base. We were able to drive out and do a tasting, which I highly recommend, and move forward with our item choices after we had a chance to taste everything we were interested in. I was interested in heavy apps for our cocktail hour and she helped me pick out a variety of them and the correct number for my size wedding. She was incredibly flexible with me as I changed the count of items numerous times, including in the month before the wedding. Her crew at the wedding was very professional and made sure we were able to flow from cocktail hour into dinner smoothly (even though we had to push everything into the same space because of hurricane weather outside). Sue also worked with me to create a Taco bar, which I loved. Everything from contacting Blue Ridge, to their flexibility was amazing and if you need a stress free caterer, I highly recommend them. Sue Dickau and the Blue Ridge Cafe team were absolutely phenomenal, and my husband and I are SO glad we worked with them for our wedding! When we met Sue for the first time, we felt very reassured that she would lead our wedding day catering & rentals, as she had so much experience and gave us great advice from the beginning. Plus, the food we had at the tasting was GREAT! Sue worked with our budget, and I definitely feel like Blue Ridge Cafe offers wonderful food and service for your dollar. Leading up to the wedding, Sue worked through every detail with us with kindness and great guidance - even as we changed ideas. The team worked so well with what our venue space provided, even though they hadn't worked at a wedding there before, and on the day of the wedding everything moved seamlessly! On the day of, Sue even helped set up our tables and offered her own table numbers when ours were clearly not suitable for the wind in our outdoor venue :) The staff was very friendly at the wedding, and we were extremely pleased with the food we had at the reception! Overall, I would highly recommend Sue and Blue Ridge Cafe! 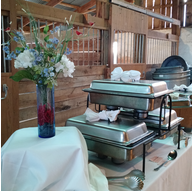 FAQs - Blue Ridge Cafe & Catering Co.
Full service catering; setup/breakdown/cleanup of reception. Packages ranging from simplistic to elegant & everything in between. ABC Licensed & bartending services. Excellent, reasonably priced food & fabulous service! Depending on season, 6-12 months in advance. 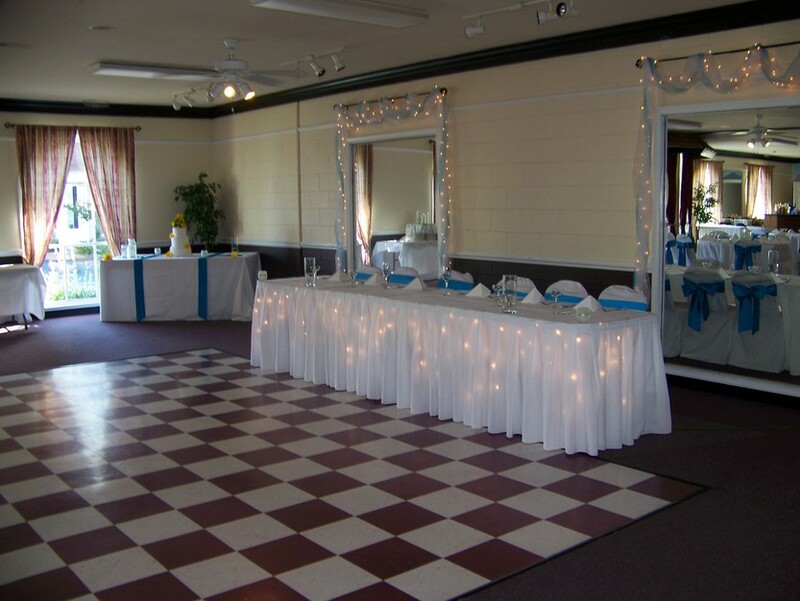 Blue Ridge Cafe & Catering Co. can accomodate up to 180 guests on-site. We can also structure a menu to fit almost any budget.